Registration for the 2019 Summer Camp Sessions is now available! We anticipate to sell out to capacity again in 2019. Early registration is recommended to reserve your camper's space. All sessions of Kids Set Sail are now filled to capacity. You are welcome to register for wait list for the session you are interested in and we will contact you if an opening occurs. Just click the link for the desired session in the red box below and proceed to wait list registration. Thank you! What is Kids Set Sail? 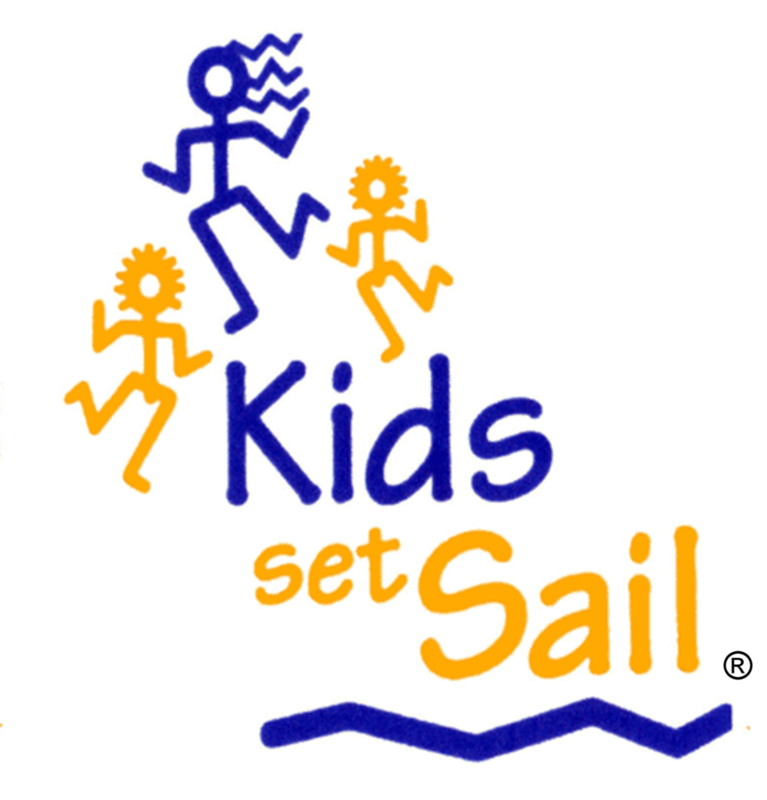 Kids Set Sail offers beginner and intermediate camp for 7-15 year old children over the course of 8 one-week sessions throughout the summer. Young sailors with a broad range of experience from never having been on a boat to more advanced returning campers who will share the same sessions. The Kids Set Sail Director and Instructors will evaluate your child's sailing skills and knowledge and will assign them to the proper area on the first day of camp. 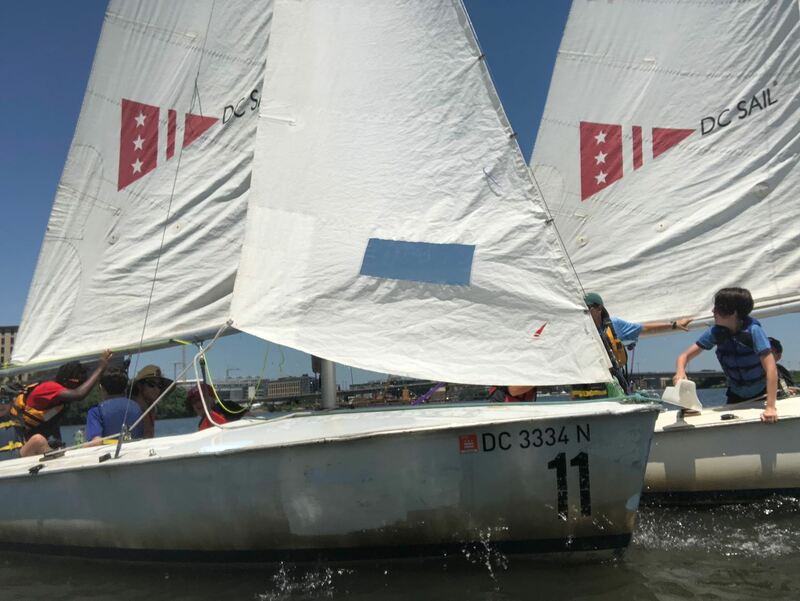 Beginner students will learn basic small boat sailing skills such as parts of the boat, knots, upwind/downwind sailing, person-overboard drills, and more! Intermediate students will learn race techniques and build up their navigational skills, with the opportunity to engage in higher levels of the science behind sailing and also explore racing. Staff: US SAILING certified instructors are on site during our program and highly trained Instructors also on board, but youth work together to run the boat. Students with some prior sailing experience will really benefit from our intermediate sessions; although we accommodate all sailing levels. Both on land and on the water, our energetic Instructors use a fun combination of games and drills to teach sailing concepts. At Kids Set Sail, fun is an integral part of our program. By the end of the week, your child will be a whiz at sailboat tag as well as maneuvering a small boat. 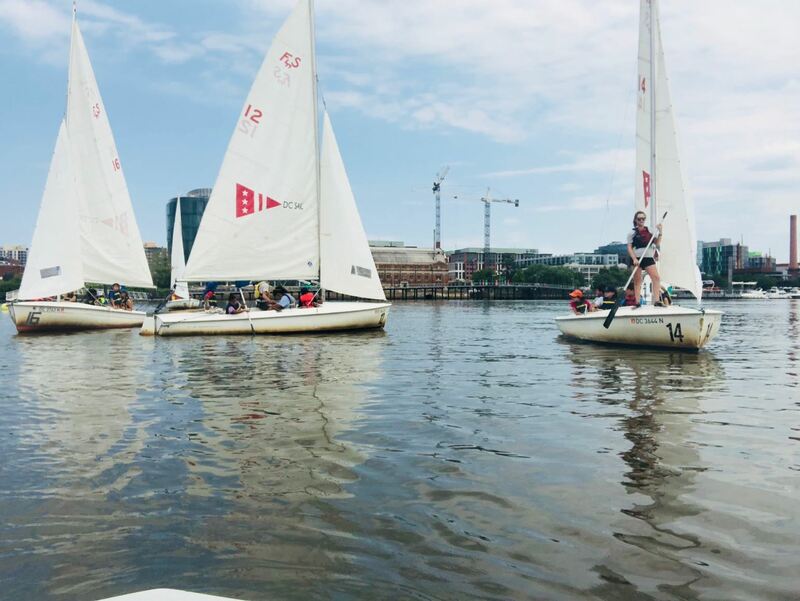 Scholarships: DC Sail offers partial scholarships of $250 (final cost - $100) per week to applicants who meet the criteria outlined in the Scholarship Application. We will also work on a case-by-case basis with those who need further assistance. If you are interested in application for a scholarship for your child, please proceed with the online registration and select, "Kids Set Sail, Scholarship," registration type. Complete the payment of $100, submit the Registration and Liability Waiver Form and also the KSS Scholarship Application along with required supporting documentation to the the Camp Director in a sealed envelope the first day of summer camp. To register for Kids Set Sail, please click on the session you're interested listed below in the red box and complete the online registration. Full payment by a credit card is required at the time of registration. Unpaid registrations will be cancelled by the system automatically after 15 minutes. Please be sure to have your payment information available at the time of online registration. Once the online registration is complete, the hard copy forms should be delivered to the Camp Director the first day of camp. 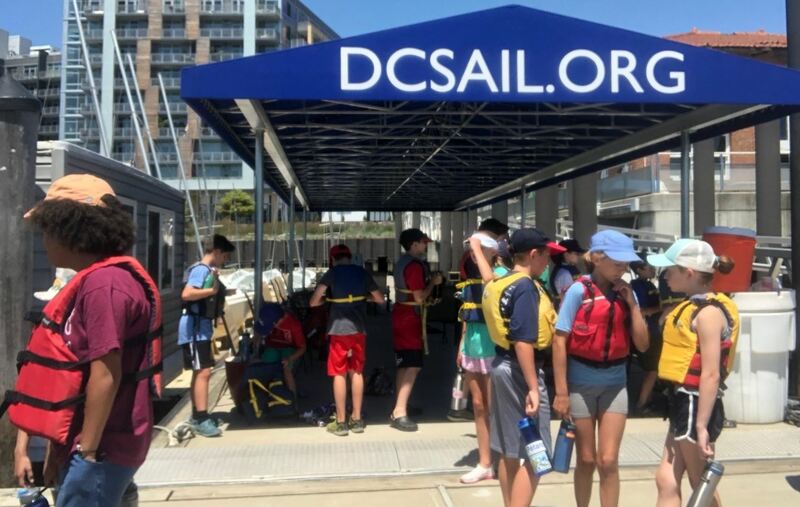 2019 Kids Set Sail Registration & Waiver of Liability Form. 2019 Kids Set Sail Scholarship Application. Drop off is between 9:30 AM and 10:00 AM Monday-Friday. Pick up is between 3:30 PM and 4:00 PM Monday-Thursday. Friday is an early release for each week of camp. Parents are invited to come to the docks at 1:00 PM for an awards ceremony and sailing event! Students are released at 2:30 PM and must be picked up at that time. At present, DC Sail does not offer before or after camp care due to logistics.